Airlines are bracing for the impact of a potential ban on laptops, smartphones, and other electronic devices on all airline flights from Europe to the U.S., similar to the one imposed in March on flights from 10 Middle Eastern airports. 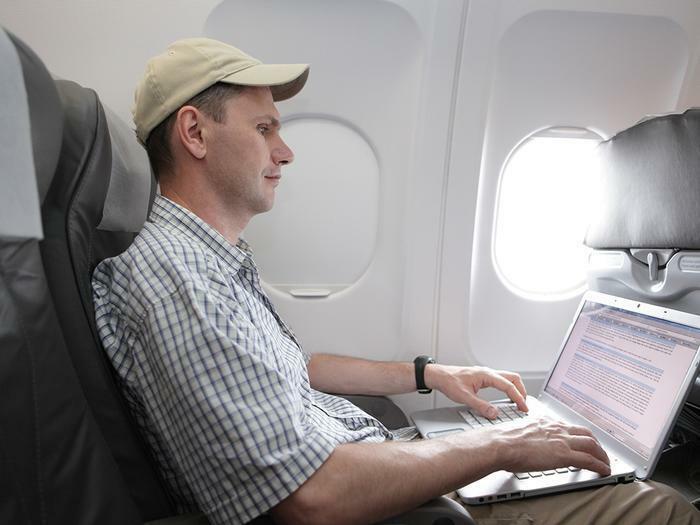 Tourists might be able to endure an eight-hour flight without access to their laptops, but business travelers, who are the bread and butter of the airline industry, are another matter. Not only would business travelers rebel at not being able to use their laptops, but the notion of having to check them as baggage raises even more hackles, for fear they might be stolen, putting valuable and proprietary data at risk. It may happen though. The Department of Homeland Security said last week that it might extend the laptop ban from the Middle East to Europe, likely leading to chaos at European airports and scenes that make recent dust-ups at U.S. airports look like a Sunday School picnic. “High-level” meetings are scheduled in Brussels Wednesday, as European airport officials worry about disrupting the travel plans of the 30 million people who fly from European airports to the U.S. each year. The laptop ban on flights from the Middle East created mass confusion and led many travelers to drop plans for non-stop flights from Dubai and other popular airports in favor of connecting through Europe. Emirates cut its schedule to five American cities because of "significant deterioration" in bookings. The Emirates cutbacks affect flights to Fort Lauderdale, Orlando, Boston, Seattle, and Los Angeles. Corporations and travel managers are already speaking out about the proposal, saying it would hamper the conduct of business and sharply reduce international travel. Many companies would be likely to turn to Skype and other video-conferencing solutions rather than require their engineers and executives to give up their laptops and iPads. “I think business travelers would be far more willing to accept a far more rigorous screening at the airport, rather than having to part with their tools when they travel,” said Michael McCormick, executive director of the Global Business Travel Association, in a Bloomberg report. Canada, it might be noted, does not impose similar bans, which could lead U.S. travelers to book their flights through Canada.